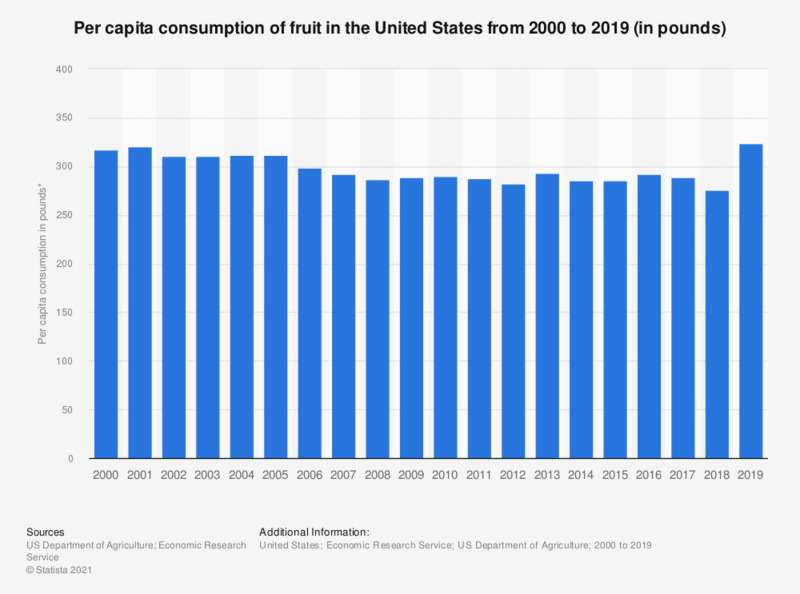 The timeline shows the per capita consumption of fruit in the United States from 2000 to 2017. According to the report. the U.S. per capita consumption of fruit amounted to approximately 289.3 pounds in 2017. * Based on fresh farm weight. Fruit include fresh fruit, canned fruit, dried fruit, frozen fruit and selected fruit juices. According to ERS the data are proxies for consumption. Consumption normally represents total supply minus exports, nonfood use, and ending stocks.